When it’s Christmas, we really expand our range to cater for all your festive needs – from family favourite turkey to traditional Christmas classics like partridge and pheasant, we have something for every taste. Our fresh free range Brynblodau Farm turkeys are raised by the Gibbons family at their farm in Tregaron, where the turkeys are allowed to grow slowly and roam freely. They are dressed and hung on the farm for low stress and maximum flavour. 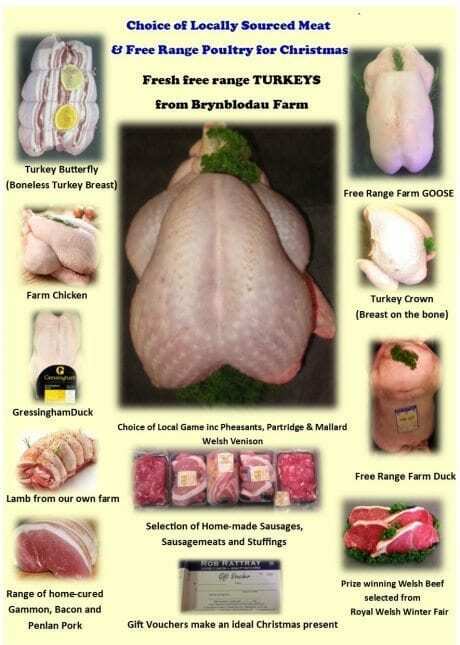 The Gibbons family have supplied us with turkeys for the last 20 years and their quality is exceptional. Our free range chickens, ducks and geese are all sourced from local farms and are slowly reared to the highest quality . All types of all game is available with the majority being locally sourced. We make every effort to ensure the very best in quality for our customers at Christmas. 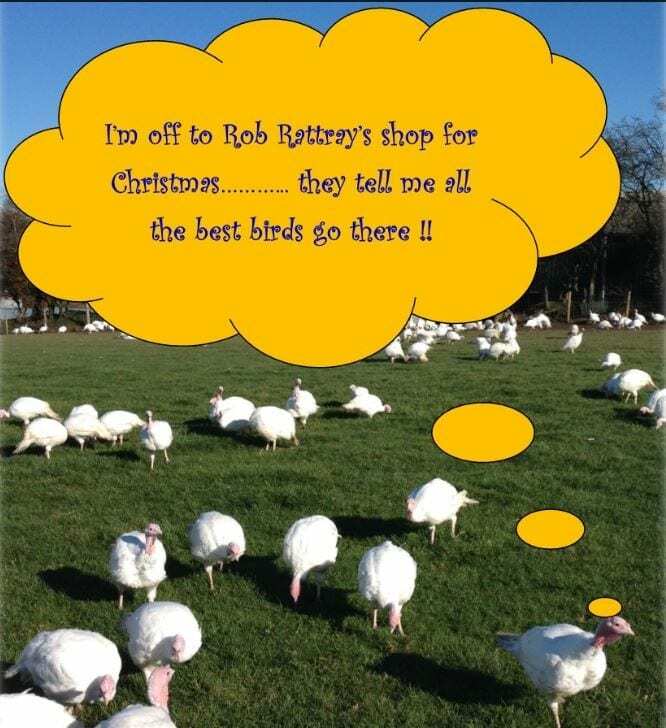 At Christmas we attempt to please everyone and will individually select all poultry to suit each specific order. Place your order early and we will do our utmost to ensure it is as near to weight as ordered. For those who prefer a less seasonal meat, our Christmas Beef comes from a Royal Welsh Winter Fair prize-winning animals, where we undoubtedly have the choice of the finest primestock in the UK. Every year Rob hand-selects and purchases prize-winning animals, so that our Christmas Beef is guaranteed to be that little bit extra special. We like to think we are able to offer our customers something a little “extra-special” for their Christmas table. 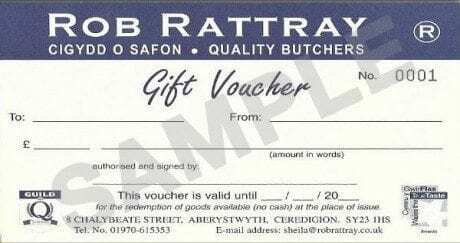 ROB RATTRAY BUTCHERS voucher also available. They make a good Christmas presant.